When it comes to marketing, definitely it is not going be an easy way. Let’s us discuss about AIDA, an old but useful model. Even though AIDA model was proposed centuries ago, but unlike grocery, it does not expire. Its existence has certainly become a priceless guidance. Daniel Starch, a pioneer of marketing and consumer research once said for an effective advertising, it supposed be “get noticed – read – understood – remembered – took action”. A lot of formulations have done based on the original AIDA model. But still, nowadays, AIDA is utilized widely and extensively by a lot of entrepreneurs and businessmen. 1. Attention – Receivers being exposed to the messages and noticed it. It is time to learn to speak your idea loudly in short and precise. Too much information broadcasted does not guarantee you higher response rate. It only creates confusion as the receivers do not know where to highlights. In addition, the flyers visuals such as layout arrangement and colors also playing a crucial roles. Thus, turn your audience’s unawareness into positive awareness by highlighting the important content only and creating a catchy slogan for the campaign. 2. Interest – They read contents and wish to know more. Well begun marks half done. Research is definitely compulsory to identify and determine the demographics of your audience. There are 2 important components: relevant targeting and messages personalization. Be sure that you are targeting to those potential customers which have the greatest likelihood to purchase otherwise everything just wasted. When you target right, certainly everything will go right. 3. Desire – Receivers initiate a thinking to own it. Almost success! Until this step, your marketing messages must be power enough to convert the receiver’s interest into desire to own. Reaching such an effect will definitely mark a green light on your marketing campaign. Make sure that you included the reason to own your products others than other competitors inside the content. 4. Action – They are ready to follow the thoughts to take action. Call to action is the last essential part in the model. The content must include 3W: When, Where and What to do. Otherwise, people just watched and forgot. By offering the receivers such an incentive, it will generate their interest and desire to take action. After applying AIDA model in your flyers campaign, you may include online marketing as one of your strategy to strike. Simply create a QR code for your website or landing page and insert it in the bottom of the flyers. In such a digital world, people will find it more convenient if they are able to scan the code and being directed to your websites. It enables them to get more details without have to visit the physical store. Last but not least, think first before proceeding to marketing as there are a lot of hidden aspects behind the marketing. 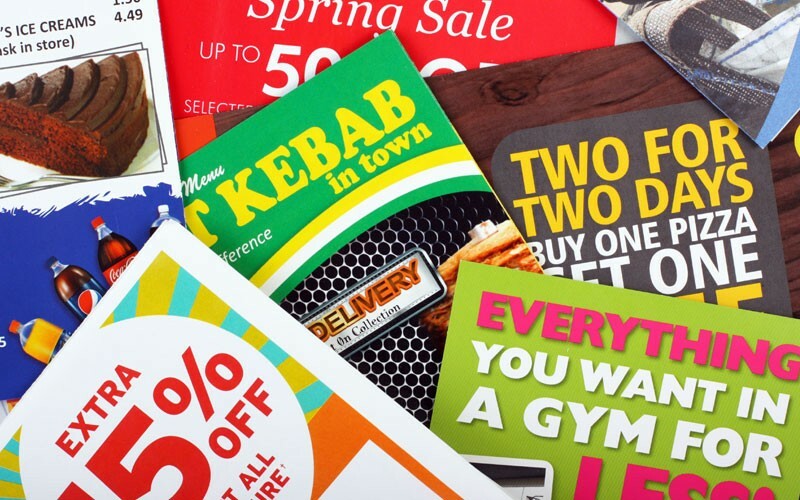 If you would like to find out more how we can help you to run a successful flyers marketing campaign, contact us today.